Great news — We’ve gone digital! 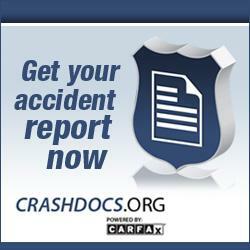 Crash reports from 05.01.2012 through present are now available. Only parties with specific interest in the crash (drivers, vehicle owners, insurance companies) will be able to access the crash report and that party must possess the incident number issued by the NYCRPD. And, if you’re an institutional user, you can be automatically billed on a monthly basis for the reports you buy. No need to write individual checks or make multiple card charges every time you need to access a report. If you prefer, though, you can always pay with a credit card on the spot. To learn more about CARFAX Police Crash Assistance and CRASHDOCS.ORG, or to set up an account to be billed monthly, please call 1.800.990.2452. Copyright © 2019 Northern York County Regional Police All Rights Reserved.